Eleanor was using Janet’s powers to check out her past relationships from high school. Chidi told Eleanor that he had been fired from his teaching position at the university. Chidi asked Eleanor for advice on how to break up with Simone easily, but Janet interrupted and offered to build a virtual reality simulation for Chidi to practice in. Michael, Jason, and Tahani arrived in Jacksonville, Florida, USA. Jason revealed that they were there to save the soul of his father, Donkey Doug. Michael’s plan was to get Donkey Doug his electrician’s license, so that he could earn an honest living. 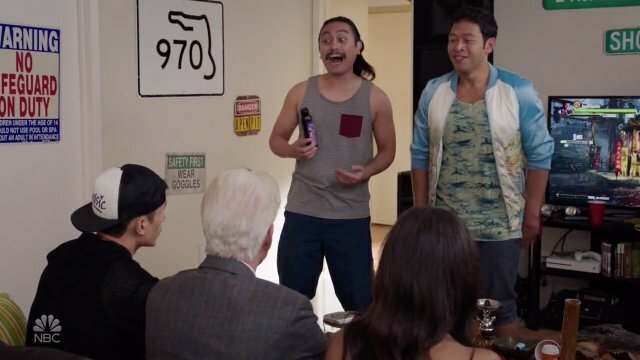 The group arrived at Doug’s apartment and Doug was excited to meet Michael and Tahani. Janet unveiled her virtual reality simulation and Eleanor attempted to co-opt it for pornographic purposes, but Janet refused to modify it for that. Chidi failed to successfully break up with the simulated Simone. Michael tried to convince Doug to go back and complete his electrician training. Unfortunately, Doug revealed that he had developed the world’s first combination body spray/energy drink. Eleanor attempted to convince Chidi to use many excuses as reasons for his break up with Simone. 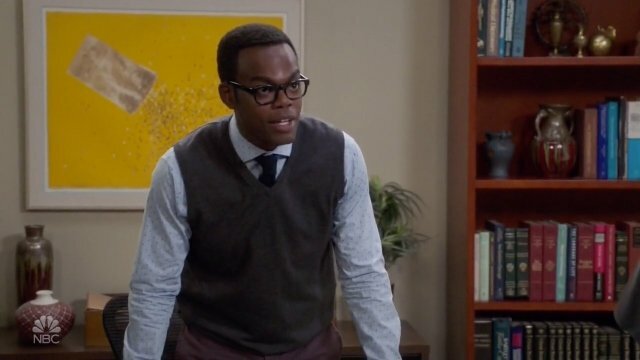 Chidi went back into the simulation and started resetting the simulation continuously (mirroring the season 2 arc where Michael did this to the simulated Good Place). 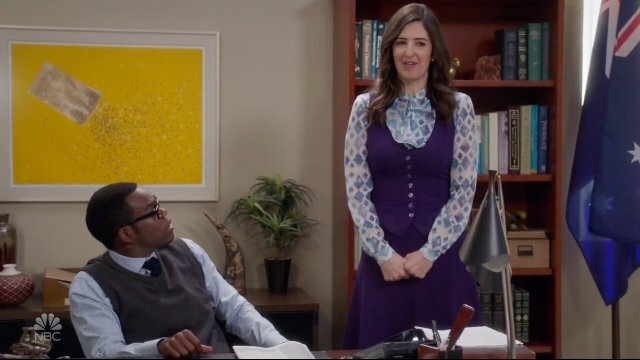 Chidi decided that it would be easier if Eleanor broke up with Simone for him, but Eleanor was resistant to the idea. Back in Jacksonville, Doug revealed that he and Pill Boy were planning to rob three different factories that night. Jason decided to realign his efforts on saving Pill Boy’s soul instead of his father’s. Chidi went to the restaurant and met with Simone. Chidi’s attempts to break up with Simone were continuously interrupted by the waiter. He managed to finally break up with Simone which elicited an angry response from her. Tahani easily managed to convince Pill Boy to abandon the robbery. Jason went to one of the factories to assist Donkey Doug with the robbery. They were quickly intercepted by some police officers. Doug distracted the police so Jason could escape. After some time had passed, Chidi finally tracked down Simone. Chidi finally had the chance to better explain his reasoning. Afterwards, he wished her luck with the study that she was conducting. Michael and Jason managed to commit Pill Boy to a life of good. The entire group headed to Budapest to help Tahani with her sister. Michael and Janet revealed to Eleanor that her mother was actually not dead and had faked her death. 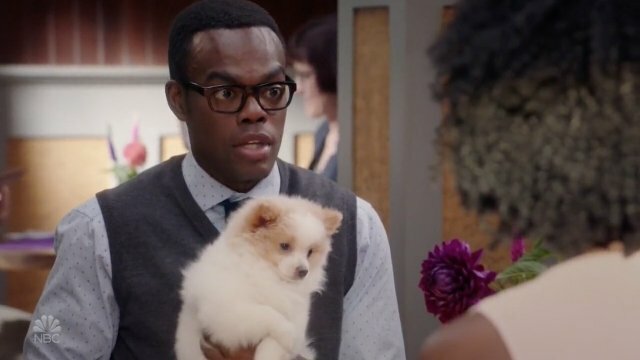 What did you think of The Good Place season 3 episode 5? Let us know down in the comment section below!